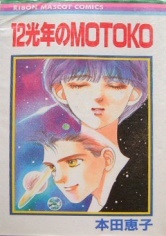 Motoko confessed her love to Shinsei, he answered it by saying that he is now only interested in playing soccer. Motoko's health is not in good shape and she has to stay over at the hospital regularly. She's however, try to be with Shinsei as much as possible.